BE A GOLDEN KNIGHT AMBASSADOR! 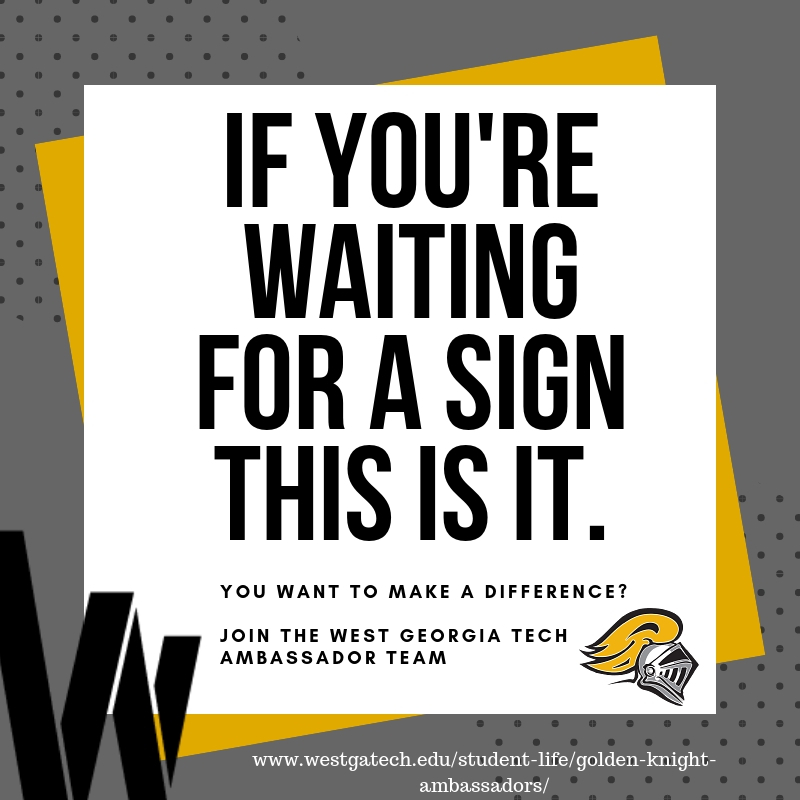 Apply to be a Golden Knight Ambassador. GKA’s will serve as leaders at WGTC. They’ll help with special events, represent the school and welcome new students. We’re looking for people who love West Georgia Tech and who want to expand their leadership and communication skills. We’re looking for the best of the best. Could that be you? Apply today! What are the expectations of a Golden Knight Ambassador? Attend and complete all training requirements and most importantly attend the culminating retreat. 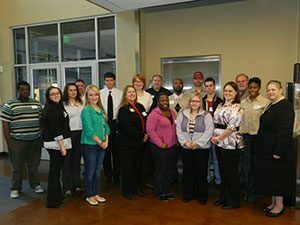 Learn everything about West Georgia Technical College! Participate in every Orientation session, Open House or other event involving new students that you possibly can. Possibly lead group discussions about campus policies, procedures, activities, facilities and services. Give tours, encourage student participation and commit to getting a little silly. Attend all schedule GSGA meetings as assigned. A minimum of a 2.5 cumulative grade point average during time of application and throughout school year. Commit to serve as an ambassador for one year. Commit to attending all training and outlined orientations and open houses – must be able to make yourself available. Must have a positive attitude, relate well with students and parents and demonstrate responsibility. What are the benefits of being a Golden Knight Ambassador? Opportunity to enhance your interpersonal skills, knowledge, confidence and service to others – it’s also great for your resume! Several meals are provided during training, and during programs.